It has been nearly one year since CollegeComplete.com (877-543-2655) and JoinAPS.com joined Justin Lofton just as he made his switch over to Eddie Sharp Racing. In that time Justin Lofton has won his first race and led the series for a number of weeks. While College Complete and Justin Lofton have enjoyed the success to date College Complete announced today that all parties agree to part ways after eight weeks into the 2012 season. 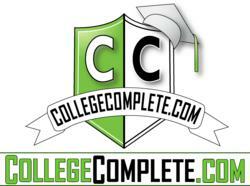 It has been nearly one year since CollegeComplete.com (877-543-2655) and JoinAPS.com joined Justin Lofton just as he made his switch over to Eddie Sharp Racing. In that time Justin Lofton has won his first race and led the series for a number of weeks. While College Complete and Justin Lofton have enjoyed the success to date College Complete announced today that all parties agreed to part ways after eight weeks into the 2012 season. While Justin Lofton heads off to Iowa this week to continue his run for the NASCAR Camping World Truck Series Championship, College Complete will continue its work assisting prospective students and adult learners with free education advice, and increasing awareness of its brand. Justin Lofton’s progress can be tracked on LoftonRacing.com or on Twitter @JLRacing. Advanced Payment Services' [APS] is a Long Island based company in New York and a registered ISO/AGENT of HSBC Bank USA, National Association, Buffalo, NY that provides low cost Visa, MasterCard, American Express, and Discover merchant services. With national merchant accounts, APS has developed into the premier Independent Sales Organization (ISO). With industry professionals who have 70 + years experience, APS provides superior service to all our clients; agents and merchants.